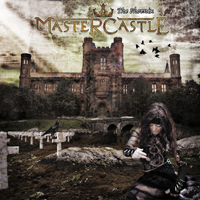 So one have to wonder if Mastercastle might be the next phoenix to arise from the neoclassical metal ashes... well judging by this, their debut album, they have a long way to go before they can begin to reach for the stars. The craftsmanship is clearly very high; the guitar leads are impeccable like they need to be on a neoclassical album and the supporting cast in doing a good job as well. But the song writing is pale and faceless; nothing sticks and leaves a lasting impression. My main concern however is vocalist Giorgia Gueglio. She does only have a decent range and her vocals do on occasion sound a bit thin and forced. Not that she is a bad vocalist, I really like her voice in the upper range, but not so much in the mid-area and her performance is only decent and needs to improve in order to get this band further.